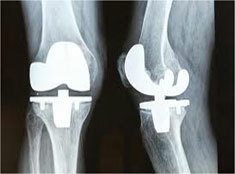 Best Orthopedic Hospital in India - Knee Replacement Surgery. Safemedtrip’s affiliated Bone and Joint Institute in India is a super-specialty Institute which focuses on providing world-class, evidence-based treatment for various orthopaedic disorders and sports injuries. 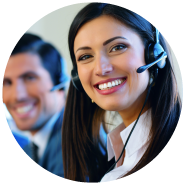 At Safemedtrip’s Bone and joint Institute we amalgamate our expertise in the areas of patient-care, clinical research, and academics in order to provide the premium level of specialized medical care services to our patients. The chairman of the Institute of Bone & Joint in India has enough expertise in conducting various orthopaedic surgeries including total knee replacement surgery, total hip replacement replacement surgery, shoulder replacement surgery, ankle replacement surgery and other joint replacement surgeries. Along with him, there is a team of highly skilled and dedicated orthopaedic surgeons who have enough experience in their respective fields. The Orthopaedic Surgeon & Chairman of Bone & Joint Institute is an internationally acclaimed knee and joint replacement surgeon in India. If you’re looking for knee replacement surgery or hip replacement surgery at Bone and Joint Institute in India, then you would be happy to know that Bone & Joint Institute has a state-of-the-art “Bone Bank” to help doctors in difficult cases like revision arthroplasty and bone loss following tumor resection. Moreover, its Alpha Operation Theatre can be accessed from anywhere via satellite linkage for continuing medical education. At Safemedtrip’s affiliated Bone and Joint Institute in India there is a latest rehabilitation department with gait analysis lab, hydrotherapy pool, electrotherapy equipment and state of art gym for rehabilitation. There is a highly proficient team of musculo-skeletal anesthesiologists that offers excellent pre, intra and post-operative care. The Bone & Joint Institute has highly experienced and dedicated rheumatologist for tackling arthritis. The team of doctors is supported by highly experienced physiotherapists and occupational therapist that provide out-patient, in-patient as well as domiciliary care to the patients. 21 year old saved from losing his hand by timely intervention. Miraculous Wrist Surgery!! !